It’s finally starting to feel like spring here in Pennsylvania. After a snowy start to April and wearing winter jackets to Easter dinner, the grass is finally green and the trees are no longer bare. 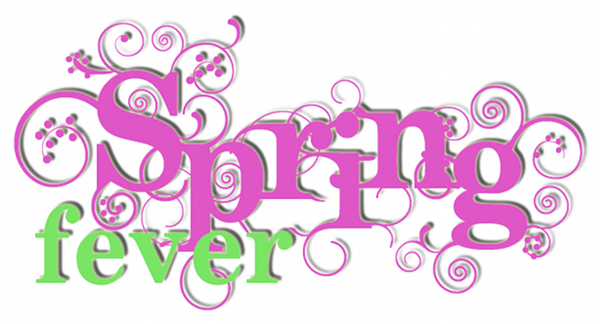 The only problem with the nice weather is that we are all suffering from a mild case of spring fever! To capture this sentiment for a future project, I used the Duetica DT Woodwynds font. This font, with its swirling vines adds that budding sense of life to my lettering. I love how you can use the Duetica Lettering Arts Studio to adjust just how many vines each letter has, and how close the letters are to each other. It really brings this project to life, and after all that is what spring is all about. This entry was posted in cards, Design Team, digital, Inspirational Ideas, scrapbook page and tagged card making, Design Team, digital, Duetica Lettering Arts Studio, Fonts, scrapbook, Scrapbookers, scrapbooking, Spring. Bookmark the permalink.